Drivers looking for a combination of impressive engine specs and elegant design need look no further than the 2018 Acura TLX performance features should be on your mind. 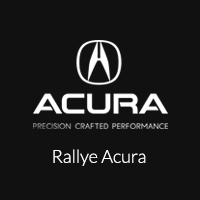 This is a true sport sedan, engineered for performance and inspired by Acura’s racing division. It brings both a four-cylinder and a V6 engine to the streets of Roslyn, and the available Super Handling All-Wheel Drive (SH-AWD) should give you peace of mind on wet or dry pavement, from the highway to Port Washington to cruising around Manhasset. Two Engine Options – First of all, the new Acura TLX will let you choose between two engines: a 2.4L engine, which delivers as much as 206 hp and a 3.5L V6 engine, capable of up to 290 hp. Both of which compare well against competitors like the Audi A4. TLX A-SPEC Package – It’s important for a car like this to look as fun to drive as it is, and the TLX A-SPEC package does just that, with a suite of exterior body upgrades, your choice of Black Alcantara or red leather seating, and a set of 19-inch Shark Gray Split Five-Spoke wheels. Best of all, you can explore the Acura TLX for yourself by visiting our dealership today. We can be found at 1750 Northern Blvd in Roslyn, NY, but we can also be reached by phone at 516-508-9147 or you can contact us online as well. We look forward to meeting you soon and showing you what Acura power is all about with the new TLX!